Mokuroku - This is the Japanese word for "catalog". 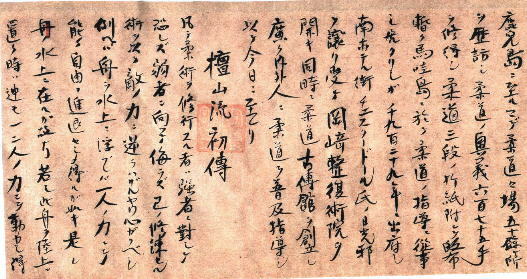 This page will describe the curriculum of the the Danzan-Ryu Jujutsu system. 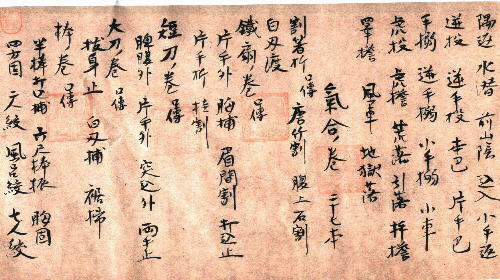 The historical material and the Shoden and Chuden sections below are a translation of the scroll presented to graduates of the Kodenkan. 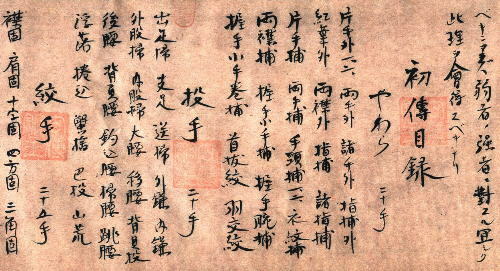 This translation is from Prof. Sig Kufferath's scroll. 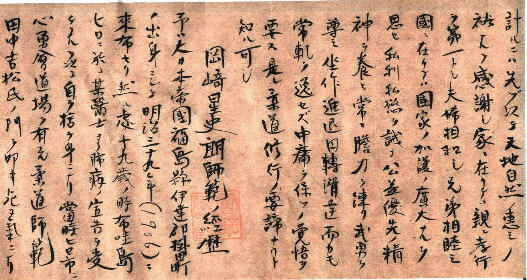 The Okuden and Koden sections were not part of this scroll and are taken from later teachings. The Seifukujutsu was taught to both Jujutsu and non-Jujutsu students. UPDATED (8/4/97)! Danzan-Ryu Jujutsu Japanese Vocabulary - (Caution! Large file.) 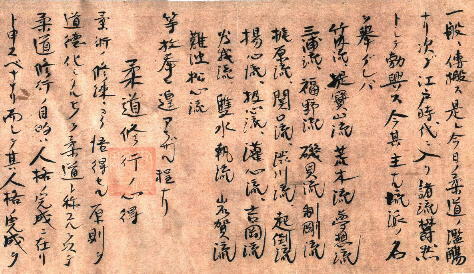 This section contains definitions and Kanji cross-references for most of the Japanese terms used in Danzan-Ryu. This section now contains graphical representations of nearly 300 kanji and combinations. 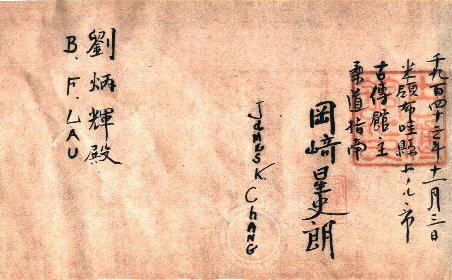 Mokuroku and Kaidensho: The Official Documents of Danzan-Ryu Jujutsu. Important Note: Due to variances in the way different teachers instruct the Danzan-Ryu arts, the technique descriptions shown here should only be used as a reference. There is no substitute for personal instruction. 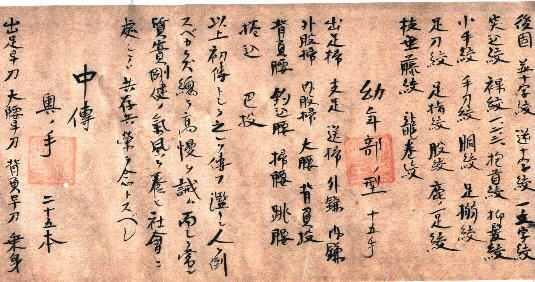 Takeuchiryu, Tsutsumi Hozanryu, Arakiryu, Musoryu, Miuraryu, Fukunoryu, Isogairyu, Seigoryu, Kajiwararyu, Sekiguchiryu, Shibukawaryu, Okitaoshiryu, Yoshinryu, Kyushinryu, Kanshinryu, Yoshiokaryu, Tamegaryu, Sosuishuryu, Iwagaryu, Naniwa-Shoshinryu, etc. Insofar as Judo is a moral application and enhancement of the principles that have been learned during one's Jujitsu practice sessions, it must be said that the very purpose of Judo lies in the perfection of character. Character development begins with an appreciation of the blessings of nature and the universe, which in turn ought to take the forms of filial piety and obedience towards one's parents, harmony between husband and wife as well as among brothers and sisters at home. This appreciation should also include an awareness of the protection provided by one's own country, and encourage the priority of the public interests over private profits and selfish gains. One's daily conducts should be guided by the principles of sincerity, gentleness, modesty, respect, harmony as well as moderation. I was born in Kakeda, Date County, in Fukushima Prefecture of Japan. I immigrated to Hawaii in the 39th year of the Meiji period (1906 A.D.) . When I was nineteen years old, I became ill on the island of Hilo and was diagnosed by a doctor to have been suffering from incurable tuberculosis. With the courage born out of desperation, I then knocked on the door of Mr. Yoshimatsu Tanaka who was then teaching Judo at his Shinyukai Dojo in Hilo, and started to practice Judo in earnest and in defiance of death. My frantic efforts and devotion to Judo not only miraculously healed my tuberculosis, but also enabled me to develop a strong, iron-like body in me. I then realized that I owed my life completely to Judo, and decided to devote the rest of my life to the teaching and promotion of Judo. While I was in Hilo, I thus mastered various techniques of Judo that were being taught at Yoshinryu, Iwagaryu, and Kosogaburyu schools. I then Combined these schools with the Karate techniques of the Rykyu Islands and the knifing techniques of the Philippines, and created my own Danzan-Ryu school of Judo. In September , 1922, when Morrison, then champion of American boxing, came to Hawaii, I challenged him to a match and enhanced the reputation of Japanese Judo by defeating him with much splendor. 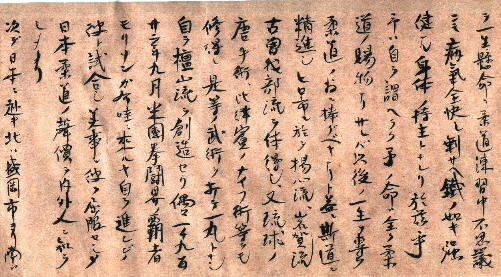 In 1924, I returned to Japan, traveled extensively while visiting more than fifty Judo dojos that were scattered between Morioka City in the north and Kagoshima in the south, studying the Okugi (secret teachings), and mastered six hundred seventy-five techniques of Judo. Upon my return from Japan with an official 3rd dan rank in Judo in my credentials, I then started teaching on the island of Maui for a short period. In 1929, I moved to Honolulu where I bought the Nikko (Rays of the sun) residence from Mr. Chester Alphonse Doyle at South Hotel Street, converted it into the Okazaki Seifukujitsu In, (Okazaki Adjustment and Restoration Clinic) , while at the same time I founded Kodenkan Dojo where I have been teaching Judo ever since to all people. Those who propose to pursue the art and discipline of Judo should first learn to face the strong without fear and the weak without disdain, and apply the techniques that they have learned to their opponents without resisting the opponent's strength. This principle can be compared to the strength of an individual who can control and manipulate a boat at ease and at will so long as the boat is floating on water, whereas the moment the boat finds itself on land it often defies the attempt of several strong men to move it. This is the very first principle of Yawara (Softness) that a Judoist must learn while he as an underdog faces an opponent who is stronger and more formidable in size as well as in physical strength. 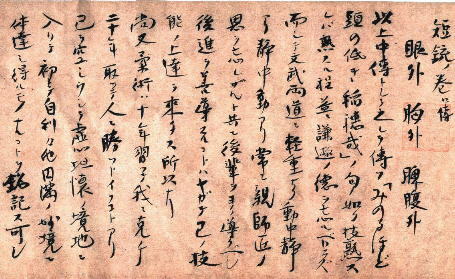 Those techniques mentioned above are hereby presented as comprising the Shoden (the first principles) of Danzan-Ryu Judo. Refrain from throwing people down without good cause and without good reason. Learn to be humble and guard against arrogance and haughtiness. Cultivate the spirit of simplicity and fortitude, and live and let live in harmony with your fellow human beings. 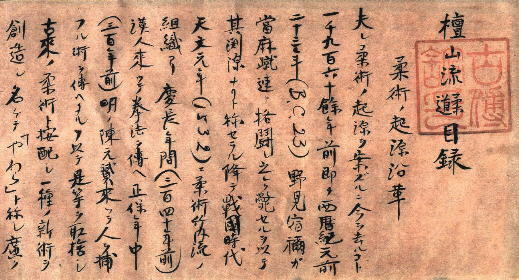 Those techniques mentioned above are hereby presented as comprising the Chuden section (The intermediate principles) of Danzan-Ryu Judo. Remember the proverb, Minoru hodo, Atama no hikuki, Inaho kana (The boughs that bear most hang lowest), and do not forget that the greater and the more mature a man is, the humbler and the more modest he becomes. It is said also that you can conquer yourself only after ten years of training in jujitsu, and you can conquer others and be a master of others only after twenty years of training in Jujitsu. The secret and quintessence of judo can be gained only after you empty yourself and rid your mind of all ideas and thoughts, and attain a state of complete freedom and nothingness. Learn the essence of our system, and the secret to the mysteries. These I pass on to you.